Dakotah Winery and Vineyards was established by Rob Rittgers and his father, Max Rittgers. Max got the ball rolling back in 1985 by planting 200 muscadine grape vines. The first grapes produced were sold on site from a board stretched across two five-gallon buckets. Today, Dakotah Winery is a 12-acre working farm with over 6,000 grape vines. There are picnic tables next to the winery, shaded by grape vines on arbors. My last visit was on a hot day in June. The shade of the grape vines was a welcome respite from the heat. The view from the winery building is of grape vines spread out in rows across the rolling land. Dakotah is a sustainable farm. They use windmills and solar panels to supplement the energy needs of the vineyard and winery. 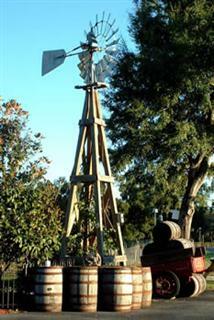 One of the antique windmills pumps water for the winery pond. They also have geese and sheep wandering around to eat the weeds. The farm uses no pesticides. There is a big pond behind the winery where wood ducks and their little chicks waddle around the edges, and Japanese koi swim around like they own the place. The winery and pond are designated as an Audubon bird sanctuary. Dakotah has an attractive wine-tasting room with a red cedar tasting counter. Wine samples are served daily. 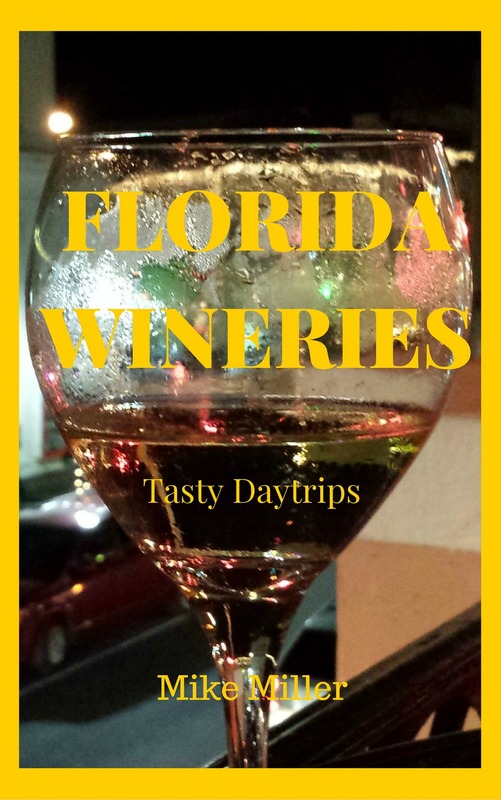 Like many Florida wineries, Dakotah has a nice selection of wines. They offer five table wines, a Florida port, and a nonalcoholic wine - actually a juice - made from Muscadine grapes. In addition to wine for sale, there is an interesting selection of wine accessories, T-shirts, salad dressings, sauces, jams and jellies. They accept wine orders by telephone. Private labels are also available for special events. Many of the antiques in the building and on the grounds have a historical link to South Dakota. 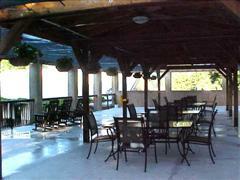 The roof of the wine cellar serves as a patio, and it's a great place to sit and watch the pond and its animal life. The patio is shaded by awnings and blooming flowers. Your visit to Dakotah provides more than an opportunity to buy Florida wine. It is also a rare chance to take a tour through natural Florida while looking at the grapes and enjoying the company of, sheep, geese, wood ducks and koi. You will feel renewed by your closeness to nature. From Gainesville -- West on Newberry Road (SR 26) to Fanning Springs, then left (south) on U.S. 19 for 3.7 miles. From Ocala -- Alternate 27 to Chiefland, 5 miles north on U.S. 19. From Orlando -- North on Florida's Turnpike to I-75 North. Exit I-75 in Ocala on Alternate 27 North to Chiefland. 2.5 miles north on U.S. 19. For more information regarding special events call Dakotah Winery at 352-493-9309.